For the first half of the 20th century, the threat of paralysing poliomyelitis (polio) was an annual threat to Canadians and much of the developed world. Over the decades polio epidemics became increasingly severe and the average age of people affected rose. For many sufferers, the virus paralysed the muscles in the limbs, but one of the most serious and unexpected developments of the epidemic in 1937 was the large number of ‘bulbar’ cases of respiratory and/or throat paralysis. Bulbar polio impaired breathing and swallowing and usually caused death. Ontario was particularly affected and it faced a shortage of electric tank respirators or ‘iron lungs’, then the only known treatment. 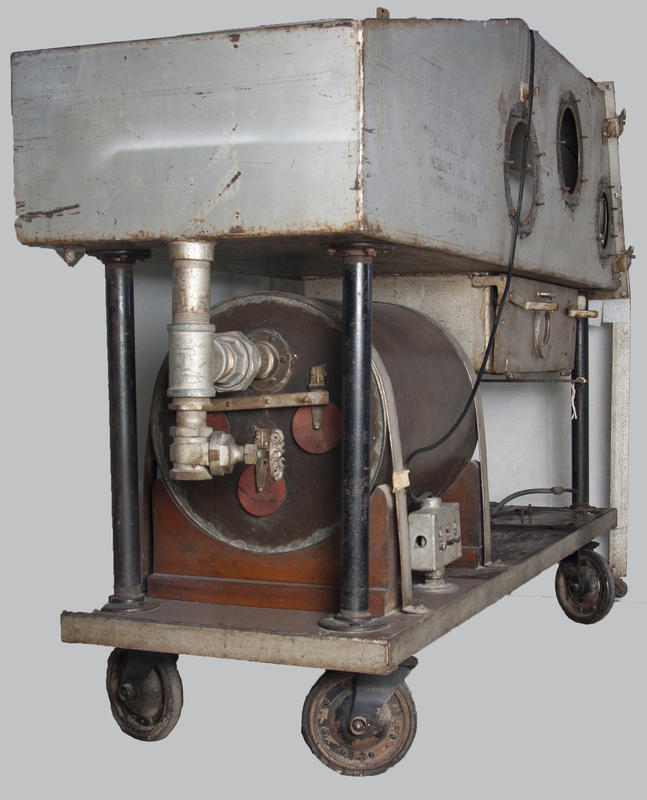 An iron lung is a large chamber that works using a vacuum, pulling air in and out to change the pressure in the chamber. The pressure changes forced air in and out of the patient’s lungs. 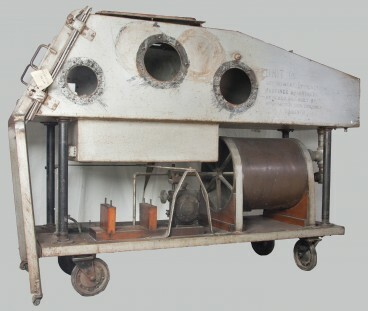 In a herculean effort, the Hospital for Sick Children began assembling ‘homemade’ iron lungs from standard parts in the hospital’s basement workshop. Financed by the province at a cost between $650 and $700 and working 24-hours-a-day over the next few weeks, hospital mechanics assembled 27 units. Some remained in Toronto and others were shipped to cities in Ontario and across Canada. Unit No. 11 was sent to Kingston General Hospital where it was used into the 1950s. 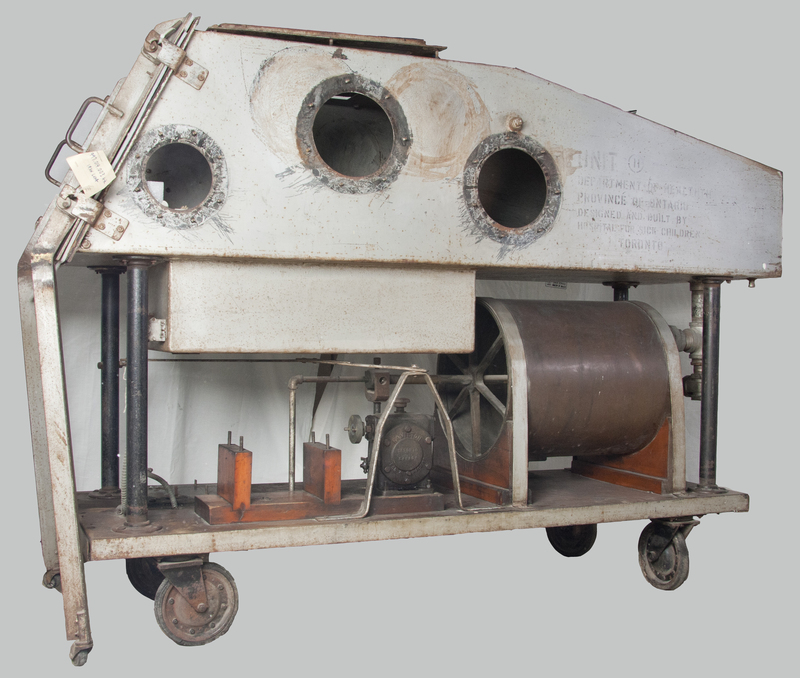 It is believed to be the only surviving machine of the 1937 production. 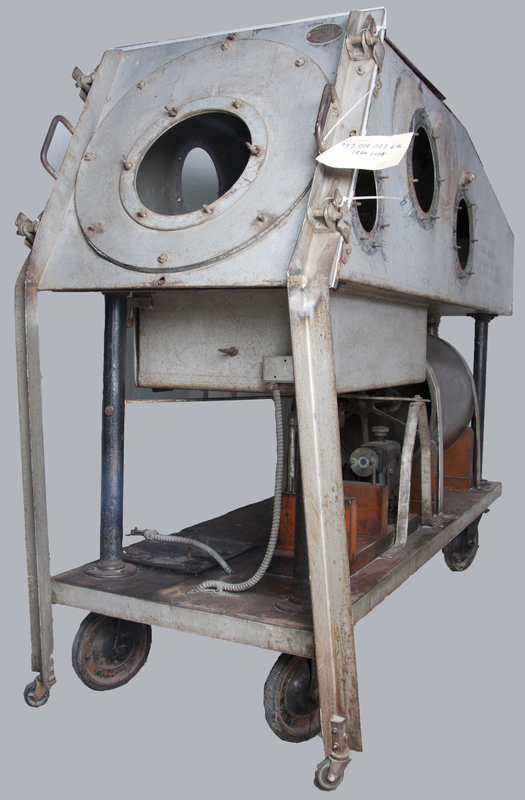 Although the overall effectiveness of these lungs to save lives appears to have been limited, the subsequent media blitz helped to etch the images of polio and the iron lung indelibly into the public consciousness. 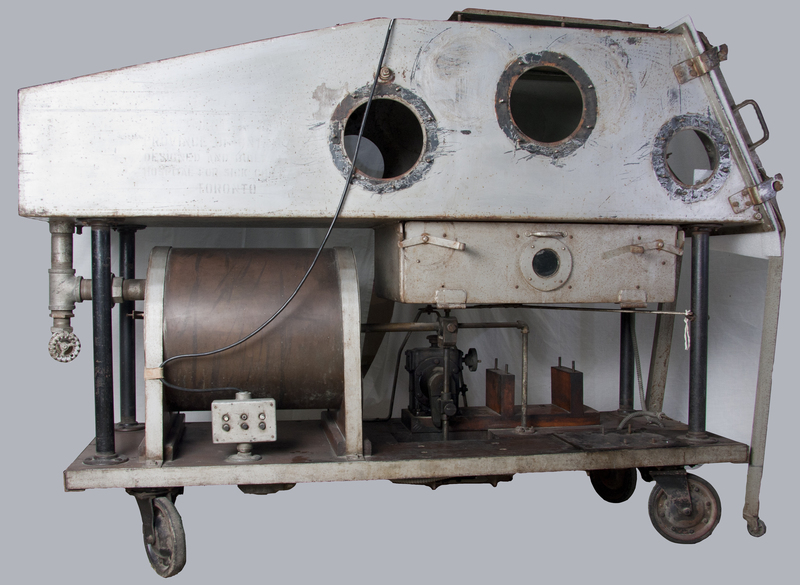 In the era before the Salk polio vaccines were introduced (1955 and 1962), the iron lung was a powerful symbol of public response to a terrible disease.